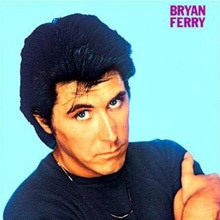 While Roxy Music were enjoying both critical and popular acclaim Brian Ferry was pursuing an equally fruitful solo career. Acting in a kind of parallel universe that enhanced and deviated from the supernova of Roxy Music like a satellite with its own orbit. Born in Washington, County Durham at the very end of World war 2, Bryan Ferry showed promise as both a writer and as an actor while still at school years, but it was his passion for music that was always to the fore, along with his love of fine art. He studied Fine Art at the University of Newcastle, where he got into contact with the artist guru and founder of British Pop Art, Richard Hamilton, whose influence and inspiration became an important informant of Ferry's artistic vision. Ferry would later say that his earliest writings and recordings with Roxy Music were a direct attempt to combine his love of music with the creative possibilities and ideas that he had learned from fine art. Having formed two bands, while at university, The City Blues and The Gas Board, he also found time to get a degree in Fine Art. Ferry was awarded a travelling scholarship by the Royal College of Art and moved to London. Here he began writing the songs which would be recorded on the first Roxy Music album, and recruited the other members of the group. 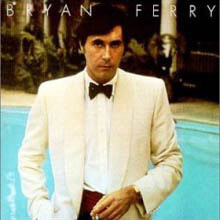 After his success with Roxy Music, Ferry's singular catalogue began with These Foolish Things (1973) where he reinterpreted some of his favourite cuts. Beginning with Bob Dylan's 'A Hard Rain's a-Gonna Fall' and ending with the title song, in between are heartfelt versions of The Beatles' 'You Won't See Me', The Stones' 'Sympathy for the Devil', The Beach Boys' 'Don't Worry Baby' and further nuggets. A high class and glossy proposition was followed by Another Time, Another Place where Mr Ferry in black tie lent his talents to the songbooks of Willie Nelson, Joe South and Kris Kristofferson, thus creating a strange British take on American southern and gothic, a conceit few others could pull off and which was largely not sussed at the time. 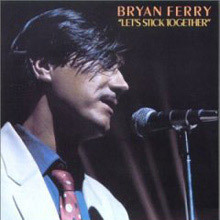 Let's Stick Together, released during the American Bicentennial celebrations of 1976, is like an amalgamation of what came before, matching remade and remodelled old Roxy songs with brilliantly executed covers on The Beatles, The Everly Brothers and several blues and soul standards. View those as a trilogy and find a method to Ferry's modus operandi and then graduate to the originally penned In Your Mind where Ferry self-produced eight beauties before really branching out into uncharted territory on The Bride Stripped Bare, recording without any Roxy assists for the first time and moving his operation to Montreux to clear his head. Made during a time of turmoil for the singer he balances his own emotional numbers like 'Can't Let Go' and 'When She Walks in the Room' with telling choices from JJ Cale, Lou Reed and Al Green. Returning to his own songbook Boys and Girls gifted Ferry his first solo number one and includes the hits 'Slave to Love' and 'Windswept'. That's the Floyd's David Gilmour on guitar too. Since then Ferry has continued to delight. He has worked with Johnny Marr (on Bete Noir), reconvened with Brian Eno and most of the old gang on Mamouna (1994), dug into the work of Cole Porter (As Time Goes By) and emerged into the modern era on Frantic, where he utilises the likes of Alison Goldfrapp and Jonny Greenwood. His acclaimed tribute to Bob, 2007's Dylanesque, was a clever throwback but Olympia (Kate Moss on the cover, Groove Armada and Scissor Sisters amidst the sessions) is entirely au fait with the present day. Of course there are best of collections, further live material and comprehensive box sets for completists to savour. But then there's also 40 years of classic original fare to get stuck into with relish. If there is something to be said for the combined careers of Bryan Ferry and Roxy Music it's that nothing can be taken for granted. Hurry up! You may be stranded if you stick around. Having at last laid Roxy to bed with its final, intoxicatingly elegant albums, Ferry continued its end-days spirit with his own return to solo work. Dedicated to Ferry's father, Boys and Girls is deservedly most famous for its smash single "Slave to Love." With a gentle samba-derived rhythm leading into the steadier rock pace of the song, it's '80s Ferry at his finest, easy listening without being hopelessly soporific. As a whole, Boys and Girls fully established the clean, cool vision of Ferry on his own to the general public. Instead of ragged rock explosions, emotional extremes, and all that made his '70s work so compelling in and out of Roxy, Ferry here is the suave, debonair if secretly moody and melancholic lover, with music to match. Co-producer Rhett Davies, continuing his role from the latter Roxy albums, picks up where Avalon left off right from the slinky opening grooves of "Sensation." The range of people on the album is an intriguing mix, from latterday Roxy members like Andy Newmark and Alan Spenner to avid Roxy disciples like Chic's Nile Rodgers. Everyone is subordinated to Ferry's overall vision, and as a result there's not as much full variety on Boys and Girls as might be thought or hoped. The album's biggest flaw is indeed that it's almost too smooth, with not even the hint of threat or edge that Ferry once readily made his own. As something that's a high cut above the usual mid-'80s yuppie smarm music, though, Boys and Girls remains an enjoyable keeper that has aged well. Much like his contemporary David Bowie, Ferry consolidated his glam-era success with a covers album, his first full solo effort even while Roxy Music was still going full steam. Whereas Bowie on Pin-Ups focused on British beat and psych treasures, Ferry for the most part looked to America, touching on everything from Motown to the early jazz standard that gave the collection its name. Just about everyone in Roxy Music at the time helped out on the album -- notable exceptions being Andy Mackay and Brian Eno. The outrageous take on Bob Dylan's "A Hard Rain's A-Gonna Fall," with Ferry vamping over brassy female vocals, sets the tone for things from the start. All this said, many of the covers aim for an elegant late-night feeling not far off from the well-sculpted Ferry persona of the '80s and beyond, though perhaps a touch less bloodless and moody in comparison. In terms of sheer selection alone, meanwhile, Ferry's taste is downright impeccable. There's Leiber &amp; Stoller via Elvis' "Baby I Don't Care," Lesley Gore's "It's My Party" (with narrative gender unchanged! ), Smokey Robinson and the Miracles' "The Tracks of My Tears," and more, all treated with affection without undue reverence, a great combination. Ferry's U.K. background isn't entirely ignored, though, thanks to two of the album's best efforts -- the Beatles' "You Won't See Me" and the Stones' "Sympathy for the Devil." Throughout Ferry's instantly recognizable croon carries everything to a tee, and the overall mood is playful and celebratory. Wrapping up with a grand take on "These Foolish Things" itself, this album is one of the best of its kind by any artist. As Roxy approached its mid- to late-'70s hibernation, Ferry came up with another fine solo album, though one of his most curious. With Thompson and Wetton joined by U.K. journeyman guitarist Chris Spedding, Ferry recorded an effort that seemed as much of a bit of creative therapy as it was music for its own sake. On the one hand, he followed the initial formula established for his solo work, looking back to earlier rock, pop, and soul classics with gentle gusto. The title track itself, a cover of the fluke Wilbert Harrison '60s hit, scored Ferry a deserved British hit single, with great sax work from Chris Mercer and Mel Collins and a driving, full band performance. Ferry's delivery is one of his best, right down to the yelps, and the whole thing chugs with post-glam power. Other winners include the Everly Brothers' "The Price of Love" and the Beatles' "It's Only Love," delivered with lead keyboards from Ferry and a nice, full arrangement. On the other hand, half of the album consisted of Ferry originals -- but, bizarrely, instead of creating wholly new songs, he re-recorded a slew of earlier Roxy classics. Fanciful fun or exorcising of past demons? It's worth noting that most of the songs come from the Eno period of the band, and consequently the new versions steer clear of the sheer chaos he brought to the original Roxy lineup. As it is, the end results are still interesting treats -- "Casanova" exchanges the blasting stomp of the original for a slow, snaky delivery that suggests threat without sounding too worried about it. "Re-Make/Re-Model," meanwhile, turns downright funky without losing any of its weird lyrical edge. Others have subtler differences, as when the stark, stiff midsection of "Sea Breezes" becomes a looser, slow jam. 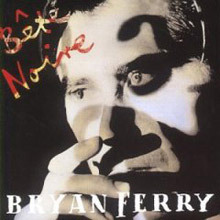 Frantic manages to touch upon virtually every musical style of Bryan Ferry's career. Ferry has proved to be as interested in covering other artists' material as penning original songs, and he straddles a smart mix of originals and covers here. Two brilliant Bob Dylan songs appear among the opening tracks: "It's All Over Now Baby Blue" sees a return to the eclectic, energetic experimentation of Ferry's early albums with Roxy Music as a lush modern swirl of instruments mingles with the singer's stylized vocals and throwback harmonica; "Don't Think Twice It's Alright" completes the Dylan pair, as Ferry intones with confidence and again takes up harmonica over Colin Good's rolling piano. The reverent Leadbelly cover "Goodnight Irene" reimagines Ferry as a kind of blues troubadour. "One Way Love" sees the Drifters' song reworked as a squall of distorted guitars and keyboards. Almost half of Frantic's songs originated from late-'90s sessions with Eurythmics' Dave Stewart, and Stewart is given a co-writer credit for these songs. Though the Stewart songs tend to favor edginess over songwriting, a few of them manage to break through the bombast. "Goddess of Love" is probably the best song about Marilyn Monroe since Kitchens of Distinction's "When in Heaven," and there's a passing musical resemblance to that great song. "Hiroshima" works like an ominous take on Roxy Music's synth-heavy Avalon period, with raging guitar dynamics contributed by Radiohead's Jonny Greenwood. Roxy Music fans will find more reasons to rejoice with the superb album closer, "I Thought," which was co-written with Brian Eno, who sings backing vocals and plays keyboards. 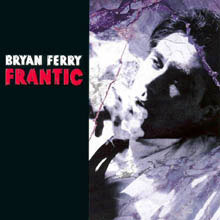 Some listeners might suggest that an album this varied has an identity crisis, but with standout tracks as glorious as the Dylan covers and the Eno closer, Frantic is a fascinating addition to Bryan Ferry's accomplished discography. 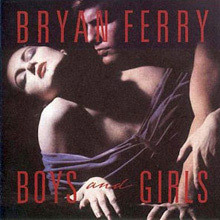 Hooking up with regular Madonna collaborator Patrick Leonard as the co-producer of this album proved to be just the trick for Ferry. Bete Noire sparkles as the highlight of Ferry's post-Roxy solo career, adding enough energy to make it more than Boys and Girls part two. Here, his trademark well-polished heartache strikes a fine balance between mysterious moodiness and dancefloor energy, and Leonard adds more than a few tricks that keep the pep up. Five out of the nine songs are Ferry/Leonard collaborations; all succeed, from "Limbo"'s opening punch and flow to the cinematic (and unsurprisingly French-tinged) feeling of the title track. The atmospheric, almost chilling "Zamba"'s minimal, buried drums, soft synths and doomy piano, make it the best of that bunch. Ferry's best moment here is all his own, though -- the great single "Kiss and Tell," with a steady, bold bassline leading the way for his slightly dissolute portrayal of mating rituals and all they entail. Like Boys and Girls, the album's supporting cast mixes a lengthy list of session pros with a few guest stars. David Gilmour returns, but even more interesting is the appearance of another guitar hero -- none other than Johnny Marr, hot on the heels of the Smiths' dissolution. He took the music of a Smiths instrumental, "Money Changes Everything," and made it the basis of a full collaboration, "The Right Stuff." Marr shows a little more fluidity than usual, likely thanks to the rhythm section's smooth, effortless groove, while Ferry steps to the fore with gusto. In sum, a great listen from start to finish. There are two headlines for Olympia, Bryan Ferry’s 13th solo album. The first is that it’s Ferry’s first collection of primarily original material since 1994’s Mamouna -- of the ten songs only Tim Buckley's “Song to the Siren” and Traffic's "No Face, No Name, No Number" are from another author -- the second is that among the many collaborators here are Brian Eno, Phil Manzanera, and Andy MacKay, all original members of Roxy Music, their presence suggesting a return to the chilly art of Roxy’s earliest records. Neither headline tells the real story: Olympia is Ferry’s most seductive album since Avalon, a luxurious collection of softly stylized sophistication. Instead of pushing into new territory, Ferry focuses on refinement, polishing his signatures -- primarily songs so slow they seem to float, and also the occasional high-end piece of pristine pop-funk -- until they’re seamless, the textures shifting so subtly that when the chorus of “Heartache by Numbers” turns eerie, the change in atmosphere is almost subliminal. Such command of mood is a tell-tale sign of a quiet perfectionist, but Olympia doesn’t feel fussy; it’s unruffled and casually elegant, its pleasing familiarity reflecting the persistence of an old master honing his craft. 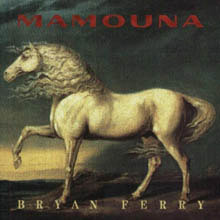 Sufficiently recharged via Taxi, Ferry got down to business and the following year released Mamouna, notable among other things for being his first recordings with the help of Brian Eno since the latter split from Roxy Music back in 1973. Rather than playing the wild card as he so often did, though, Eno concentrates on (to use his own descriptions in the credits) "swoop treatment" and "sonic awareness." Slightly more to the fore are Ferry's usual range of excellent musicians and pros. Steve Ferrone once again handles drums as he did on Taxi, while Richard Norris also reappears on loops and programming; other familiar faces include Nile Rodgers, Robin Trower (the album's co-producer), and Carleen Anderson. One of the most intriguing guest appearances comes at the very start -- "Don't Want to Know" has no less than five guitarists, including none other than Roxy's own Phil Manzanera. Whereas his '80s work seemed to fit the times just so, with his own general spin on things providing true individuality as a result, on Mamouna Ferry seems slightly stuck in place. Compared to the variety of Bete Noire, Mamouna almost seems a revamp of Boys and Girls. Combine that with some of Ferry's least compelling songs in a while, and Mamouna is something of a middling affair, almost too tasteful for its own good (and considering who this is, that's saying something). There are some songs of note -- "The 39 Steps" has a slightly menacing vibe to it, appropriate given the cinematic reference of the title, while the Ferry/Eno collaboration "Wildcat Days" displays some of Eno's old synth-melting flash. Overall, though, Mamouna is pleasant without being involving. 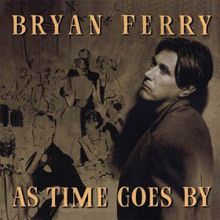 Bryan Ferry invests considerable time and energy in cover albums (he should, considering that they compose a good portion of his solo catalog), treating them with as much care as a record of original material. He's always found ways to radically reinvent the songs he sings, so it's easy to expect that his collection of pop standards, As Time Goes By, would re-imagine the familiar. Instead, As Time Goes By is his first classicist album, containing non-ironic, neo-traditionalist arrangements of songs associated with the '30s. That doesn't mean it's a lavish affair, dripping with lush orchestras -- it's considerably more intimate than that. Even when strings surface, they're understated, part of a small live combo that supports Ferry throughout the record. He's made the music as faithful to its era as possible, yet instead of rigidly replicating the sounds of the '30s, he's blended Billie Holiday, cabaret pop, and movie musicals into an evocative pastiche. Ferry is at his best when he's exploring the possibilities within a specific theory or concept; with As Time Goes By, he eases into these standards and old-fashioned settings like an actor adopting a new persona. Since Ferry has always been a crooner, the transition is smooth and suave. He makes no attempt to alter his tremulous style, yet it rarely sounds incongruous -- he may sound a little vampirish on "You Do Something to Me," but that's the rare case where he doesn't seamlessly mesh with his romantic, sepia-toned surroundings. On the surface, it may seem like a departure for Ferry, but in the end, it's entirely of a piece with his body of work. True, it may not be a major album in the scheme of things, but it's easy to be seduced by its casual elegance. 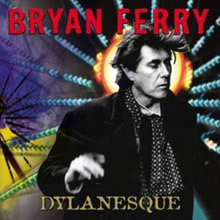 The greatest -- indeed, only -- irony of Bryan Ferry's 2007 album-long tribute to the Bard is that Dylanesque never sounds "Dylanesque." There are no solo acoustic guitars, no swirling organs, no thin, wild mercury music, nothing that suggests any of the sounds typically associated with Bob Dylan. No, Dylanesque sounds Ferry-esque: careful, precise, elegant, so casually sophisticated it sometimes borders on the drowsy. There are no new wrinkles, then, apart from a small but crucial one -- unlike his other records, this was recorded quickly, over the course of a week with his touring band in tow. This does give Dylanesque a comparatively loose, off-the-cuff feel, which is a bit of a welcome relief after several decades of cautious, deliberate conceptual albums, and gives the album its understated charm. Since Ferry never radically reinvents the songs -- apart from the sleek, sly propulsion of "Just Like Tom Thumb's Blues" and a spare, haunting piano-and-strings version of "Positively Fourth Street" -- this is an album where all the pleasures lay in the subtleties, whether it's how Ferry phrases his delivery, how his road band feels supple yet muscular, how Eno electronically enhances a few tracks or how Robin Trower tears into "All Along the Watchtower." These are the details to savor upon repeated listens, but upon that first spin it's immediately apparent that the Ferry who made Dylanesque is an assured, relaxed vocalist who isn't sweating the specifics, he's simply singing songs with a band that offers sympathetic support. They may not push him, the way that Roxy did in its prime, nor does this have the meticulous ambition of his original work, but again, that's the charm of this album: Ferry has never felt quite so comfortable as he does here, and if that may not be exactly what all listeners are looking for when they listen to his work, this is the quality that will make Dylanesque a small understated gem for certain segments of his die-hard fans. Another Time, Another Place isn't as immediately thrilling as Ferry's solo debut, but still is a great listen. The same core band that backed Ferry up on the earlier record stays more or less in place here. If, like Roxy over the years, this collection is a touch less frenetic at points in comparison to Ferry's earlier solo stab, the opening blast through "The 'In' Crowd" doesn't show it. Porter's guitar rips along as intensely as Phil Manzanera's can, and the whole thing makes Dobie Gray's original take seem pretty tame. Beyond that, things will be familiar to anyone who's heard These Foolish Things -- same general atmosphere, same overall approach of Ferry taking classic originals and putting his own proto-lounge-lizard stamp on them, mixing energetic versions with far calmer ones. A very intriguing development is his inclusion of efforts from up-and-coming country writers and singers -- thus, a loud and groovy cover of "Funny How Time Slips Away" by Willie Nelson and another of Kris Kristofferson's "Help Me Make It Through the Night." Other country atmospheres slip in here and there via another nod to Elvis ("Walk a Mile in My Shoes," originally by Joe South), while other classics get tapped with versions of "Smoke Gets in Your Eyes" and Sam Cooke's "(What A) Wonderful World." The album as a whole feels a touch more formal than its predecessor, but Ferry and company, plus various brass and string sections, turn on the showiness enough to make it all fun. A harbringer of solo albums to come appears at end -- the title track, a Ferry original.